Opportunities come in many sizes – some big, some little, some in-between. Some are new business directions – good or not, and some are new ways to promote your business or generate new leads.This falls into the category of business promotion and marketing. I was not expecting this, and I did not seek it out or order it. I didn’t even know it specifically existed although I have seen other similar items. 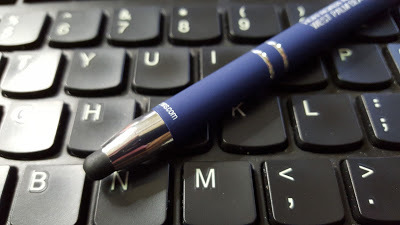 What I got – in the mail – was a free sample from a pen company. I have received pens from this company before, and for the most part, their pens write quite well. I just never needed to order any large quantity of them because pens are so common as takeaways and leave-behinds at shows and meetings. So, what makes this pen special? Aside from the fact that it actually looks attractive and feels good in my hand, and that it has the obligatory customization imprinted on the side (supposedly laser-engraved), it has a special tip that makes all the difference. It has one of those rubber stylus tips that you can use when the pen is retracted to punch numbers and letters on your phone or tablet. This is what makes me want to consider ordering a quantity of these to hand out to people. There is some actual value here – more than just the writing part of the pen. In fact, the stylus may be more important than the ink! We’re always looking for ways to promote our businesses and at the same time offer meaningful value to our clients, customers, and trade partners. That’s why food and drink don’t work so well. They are quickly consumed and forgotten. Typically pens don’t work either because they don’t even write long enough to get to the door. 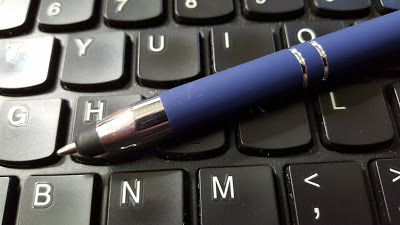 As far as getting a stylus to use for your phone or other device, I have seen them. 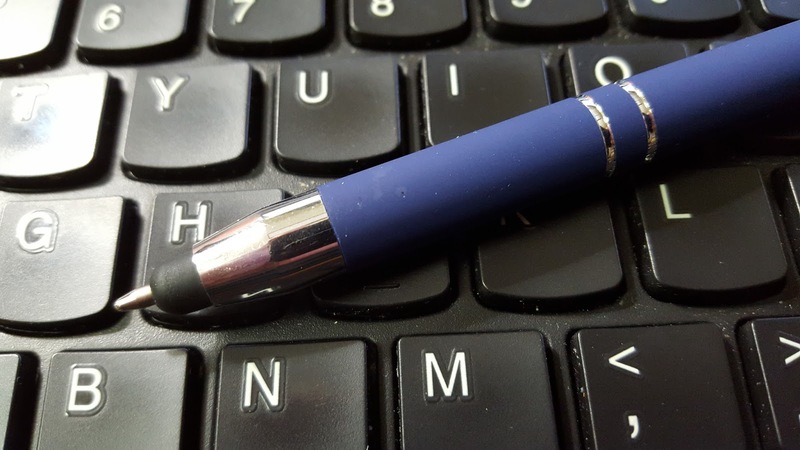 It’s just that this combines the stylus with a pen – one that actually writes – and a branding message that people can carry with them until they lose it, break it, or get tired of it. For now, it seems like a good way to share a marketing and branding message.